With my own novel still underway, now seemed a great time to hear about Helen’s thoughts on novel writing. Enjoy! Are you a writer? You’ve got a brilliant idea for a film or a TV series? You’re wondering how to get it into the hands of Hollywood film producers or senior commissioning executives at the BBC or other TV networks? Well, keep reading because I may have a solution for you, my friend. Welcome to Lucy’s blog. I will be your guest blogger for today. I write novels, poetry, plays, screenplays and children’s books. I’m a member of the Writers’ Guild and the Society of Authors. But that’s enough about me. Let’s get back to your brilliant idea. Imagine being able to deliver a word perfect pitch that perfectly encapsulates your artistic vision – and then imagine that you are invited to pitch for hours rather than minutes. Imagine those execs held spellbound by your story as you explore every nuance of character, every detail of the plot. They’re laughing at your jokes! They’re drooling over your dialogue! You don’t want to pitch? You hate pitching! That’s OK. In the world we’re imagining, you don’t even have to stand up and pitch. You don’t have to write a treatment. Nobody will ask how old or how young you are. Nobody will ask if you have ever written for Doctors. Does it sound a bit far-fetched? Well, then perhaps you’ve never thought about writing a novel? Yes, OK. Writing a novel is rather a convoluted way to get a film made. You might as well try to catch the eye of someone who walks a certain route to work each day by buying a plot of land along the route, building a house on it, creating a beautiful garden at the front – just to be able to stand there and cut a rose and offer it with a flourish as they pass by. Oh but think how gorgeous that garden might be if you tended it every day for no other reward but love. Look at it this way – if you decide to write a novel you’ll get to use metaphors, similes, flashbacks and interior monologues. You’ll get to hone your prose and trust your instincts (there are no script editors or development executives to read and comment on your drafts). You can write crowd scenes and explosions without worrying about the budget. At the very least, you’ll get a book out of it. Of course, when you have written it, you have to get it published. But that’s another blog post. 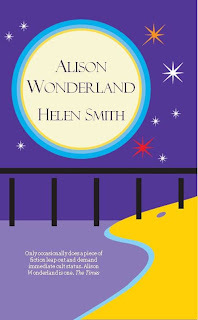 Helen Smith’s first two novels, Alison Wonderland and Being Light, are available in all good book shops. They have been optioned by the BBC. Her new novel, The Miracle Inspector, will be published in September 2010.